Lisa Chiccehitto, CPA joined UMMC in 2008. A graduate of the University of Maryland, she began her career at Deloitte in Washington, DC, where she provided audit and tax services to high net worth individuals and to public and private businesses in a variety of industries. Later, while raising her children, she worked seasonally and part-time for a financial services firm that specializes in tax and investment planning for non-U.S. persons and entities engaged in business in the U.S. and U.S. citizens living outside the U.S. In 2008 when she re-entered the workforce full time, she chose to continue her career in the community where she lives. Based in the Warrenton office, Lisa provides tax consulting for individuals, businesses, estates, and trusts. Additionally, she provides family office services and client support services to businesses. Client support services include a variety of services needed by clients who do not have a controller or CFO on staff, but desire the value provided by those types of employees/advisors. Services are provided on an as-needed basis, and are regular or temporary, depending on the needs and resources of the client. 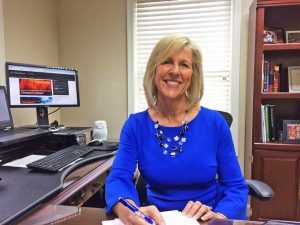 Lisa is a member of the American Institute of CPAs, the Virginia Society of CPAs, and the local Chambers of Commerce. She serves on the Boards for Leadership Fauquier and the Rotary Club of Warrenton, and is a parishioner of St. John’s Catholic Church. She has been married for more than 30 years, has four children, and enjoys spending time with her family and friends.